Cuaba Piramides are amazing cuban cigars with highest quality cuban tobacco. 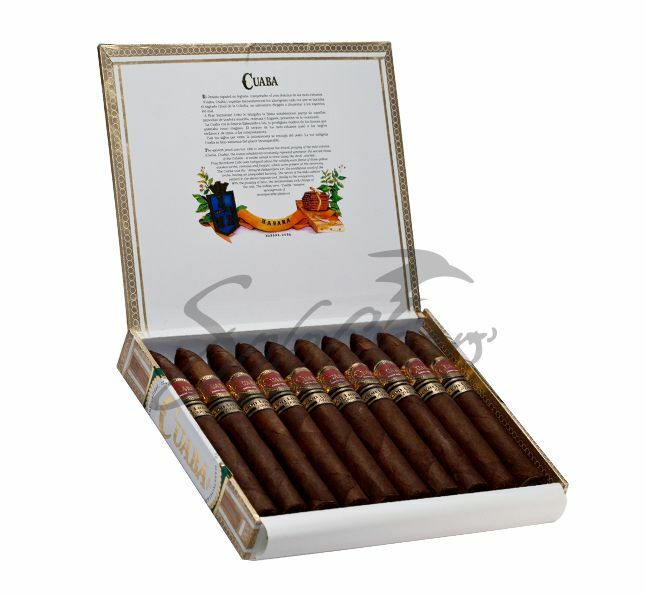 They belong to the classic blend cuban cigars, full aromatic and full bodied. All the leaves from Cuaba Piramides, filler, binder and wrapper have been aged for two years. Featuring a woody flavor and vegetable taste, and a generous size, this cuban cigars turns into an authentic relic of the Cuban Limited Editions family.